Cassandra Thorburn on Studio 10. 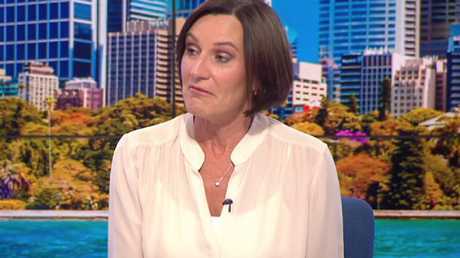 KARL Stefanovic's ex-wife Cassandra Thorburn appeared on Studio 10 this morning, giving a slightly testy response when asked if she was ready to move on with a new partner. 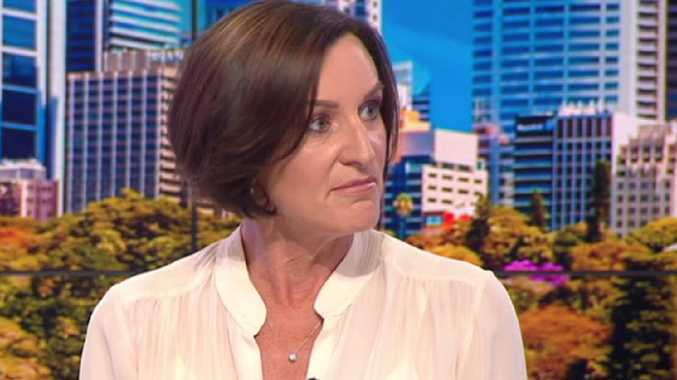 The journalist and author appeared on the show to spruik her new children's book - but first had to cop a few questions about her much-publicised breakup with Nine's embattled Today host. 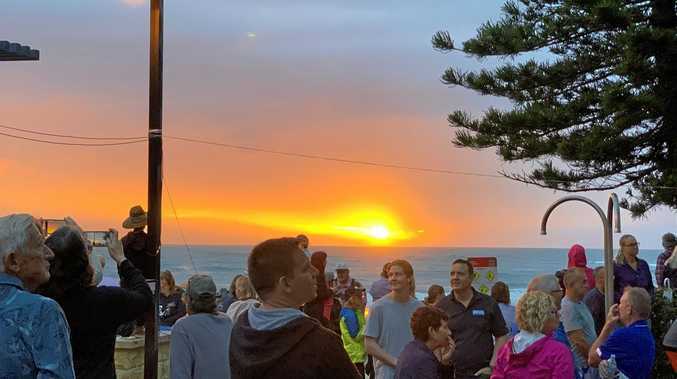 Studio 10 Host Sarah Harris asked Thorburn how she was adjusting to life as a single parent: "It would be tricky being mum and dad for your kids," she offered. "But you're NOT mum and dad. My children still have a dad - of course they do. I'm not replacing him in that position; he still holds that position," said Thorburn. The mum of three, 47, said the high-profile split had given her an opportunity to "get to know" herself. "You grow up and you embark on adulthood on your own, and then you become part of a partnership, and then you become part of a family … And it's like OK, now I get to know myself. I've enjoyed that," she said. "You are a great mum, and I know your life is all about them at the moment, but is the door open to maybe … love again?" Harris asked Thorburn - a question that left her momentarily stunned. Thorburn appeared momentarily lost for words. "What? So I need another - so do I NEED to have a man? Do I need to have a man to continue on?" Thorburn asked testily. She softened the blow, telling Harris she was "joking" and the host assuring viewers: "We've known each other for a long time." "I think you have to be open to anything coming your way in life, but at the moment, I'm not focused on it," Thorburn explained. Elsewhere in the interview, Thorburn said she tried not to pay attention to the public scrutiny over her breakup. "I just don't think it's relevant to me. The world is full of judgments, but they don't really know what's going on … The only priority I have is making sure my children are happy and in a good place. I don't owe anyone anything." In her first TV interview since the split, appearing on The Morning Show earlier this month, Thorburn said the divorce had been "particularly challenging for the children, especially when it was so public". 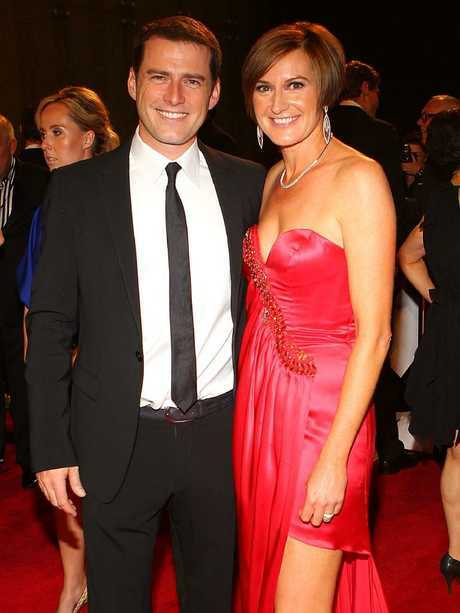 Last month, Thorburn's bitter divorce with Stefanovic once again flared up in the headlines following an interview in which she claimed she felt like she and her children Jackson, 18, Ava, 13, and River, 11, are "dead to (Stefanovic's) family". "There has been practically no contact. I feel like we've been discarded and disposed of, replaced by a whole new line-up of starters," she told The Australian Women's Weekly. "It has been a real adjustment period for me."